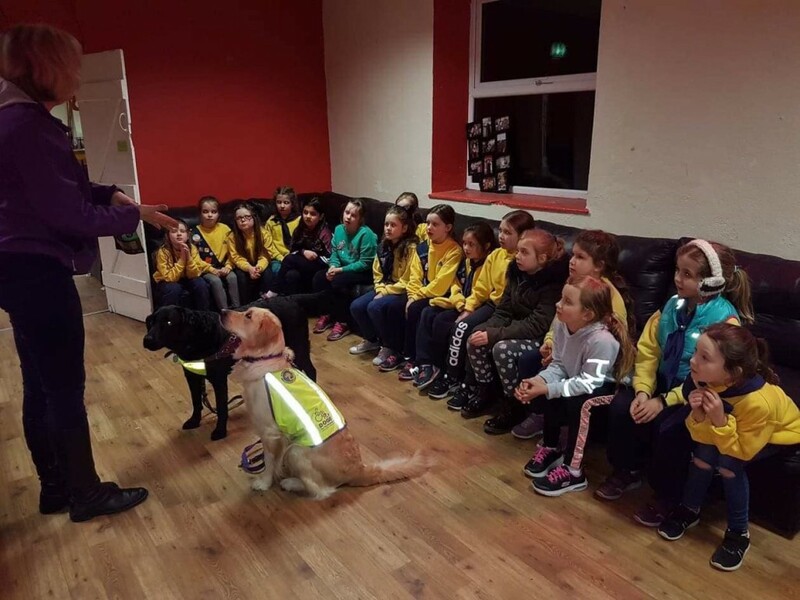 Muskerry News | Blarney Daisy Brownies welcome four legged recruits! Blarney Daisy Brownies welcome four legged recruits! welcomed two new recruits last week when Jasmine and Hugo from Irish Dogs for the Disabled joined the girls who are currently learning about disabilities for their badge.